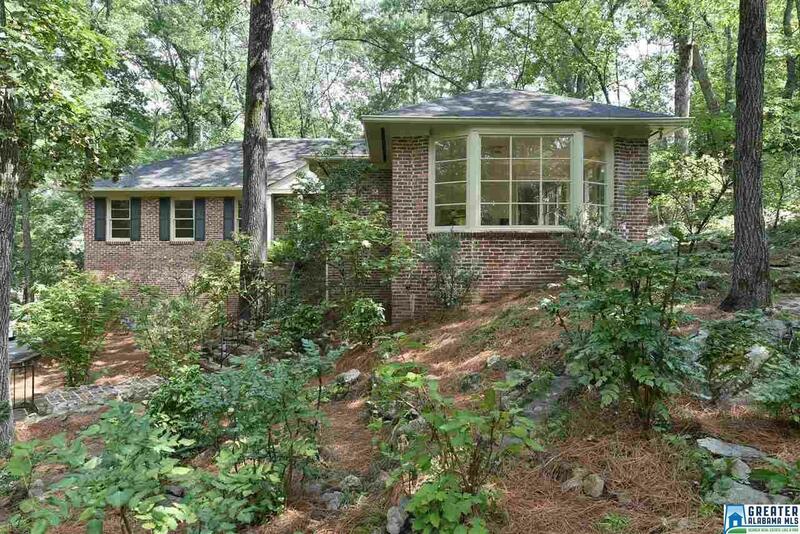 3020 Country Club Rd, Mountain Brook, AL.| MLS# 805619 | Richard Jacks UABLIVING.com 205-910-2297 | Birmingham AL Real Estate | Contact us to request more information about our Homes for Sale in the Birmingham AL area. Make an offer! GREAT CHANCE to REDO or BUILD NEW! Come see this custom designed, one owner home located within walking distance of English village, the Botanical Garden, and the newly renovated shopping area in Mountain Brook Village. The main level features foyer, large living room with fireplace, an inviting sunroom which views the scenic landscaping abundant with hydrangea, azalea, and rock outcroppings, dining room, breakfast room, kitchen, screen porch, three bedrooms, 2 baths, and hallway with closets and steps to the attic. Dining room chandelier and refrigerator don&apos;t stay. PRIME LOCATION! Build your dream house! Driving Directions: English Village East On Fairway To Country Club Or Mt. Brook Village To Lane Park Rd. On Country Club At Traffic Light. 1st House On Left.